Blue Car Studio is spacious, versatile, and quiet. Centrally located in the Flatiron District of Manhattan, you won’t find a better deal for your next rental! Check out the gallery below to get an inside look at our studio space. Our space measures up - everything within the studio is seamlessly movable. 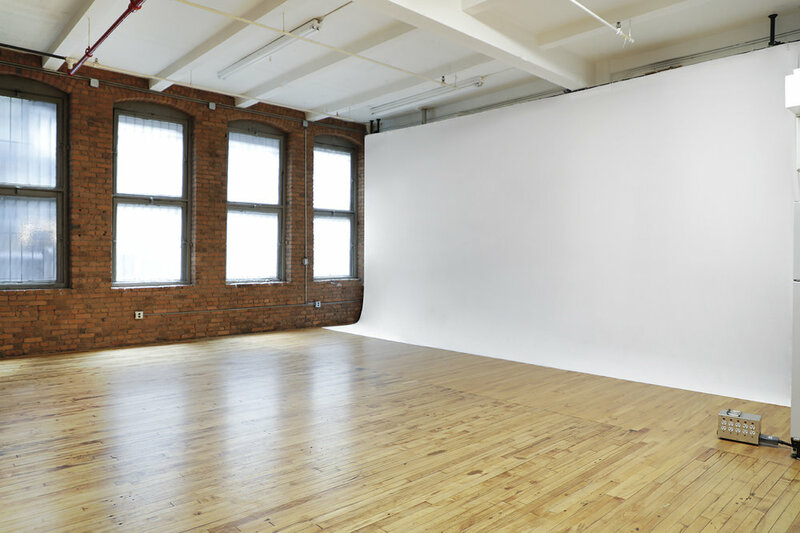 Our white muslin cyclorama and green screen can be placed in front of either the brick wall or the wall space adjacent to our kitchen area. Whether it be a still life shoot or a music video, our space adapts to your needs and can be set up to best suit the needs of your production.